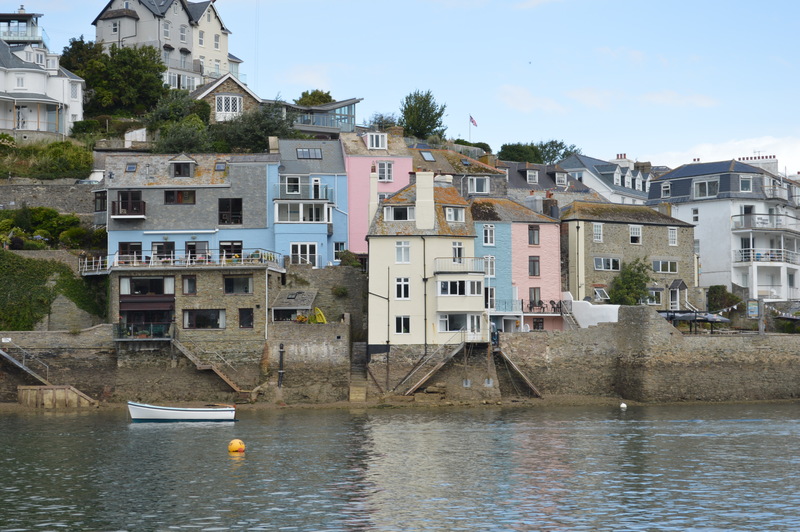 We leave Salcombe early. The tide will be unfavourable for a couple of hours and the wind is light but we would rather be at sea and will motor if we have to. The depth reading is less is 2 metres and falling, the gps says I am exactly on track. Despite my resolution a mile back, I am still following the numbers – and for a moment am completely confused. The gps says there is a straight line and just to the next waypoint and it’s just under one nautical mile away. It’s on the screen. I want to believe it but I can see it’s wrong Looking closely at the chart it says the channel crossed to the other side of the river about 100 yards back. I make the adjustment and realise the mistake. When I was entering the waypoints I missed one; even though I checked them, I still missed it . . . not good. (You have to do it to know it). 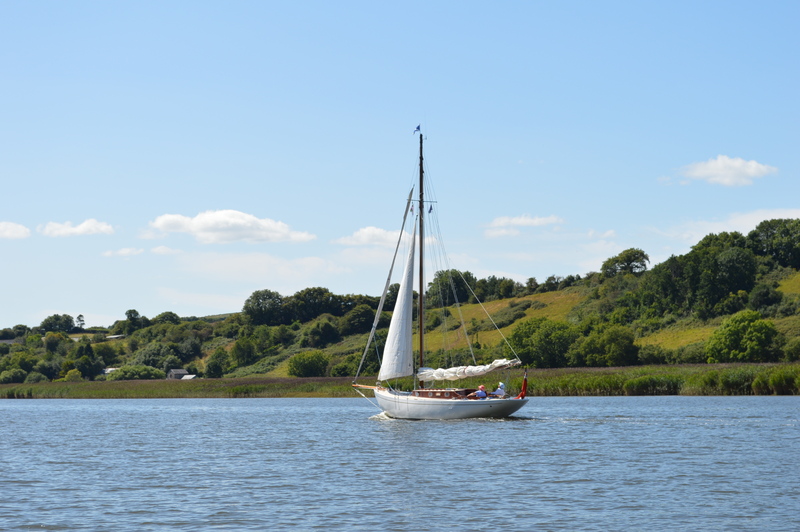 Although this is the only yacht I saw on this part of the river, part of the pleasure has been in the other boats. I will add them to the next post. The channel narrows and we pass close to ruins of the South Hooe Mine on the outside of the bend. All the way along the reaches of the Tamar from here was a busy mining area. In its heyday, more tin, copper, silver and arsenic were mined in this region than anywhere else in Europe. The mines eventually ran out and the mining came to an end very suddenly in the late nineteenth century, the villages and towns emptied and Cornish miners spread all over the world. In a small cemetery in Russell, New Zealand, I was very moved to find the grave of a young miner from Cornwall who died in the late eighteen hundreds. He had made the long voyage, found work . . . and died shortly afterwards, far away from home. Once the mining had finished, the landowners landscaped the land and it was turned over to market gardening, but a number of remnants of the industry can still be seen – like these useful cuts in the bank. Then the depth reading drops from 4 to 3 metres . . . then 2.5 metres. The channel is wide here but I’m obviously out of it already. The tide seems to be taking me down towards the entrance to the River Tavy. 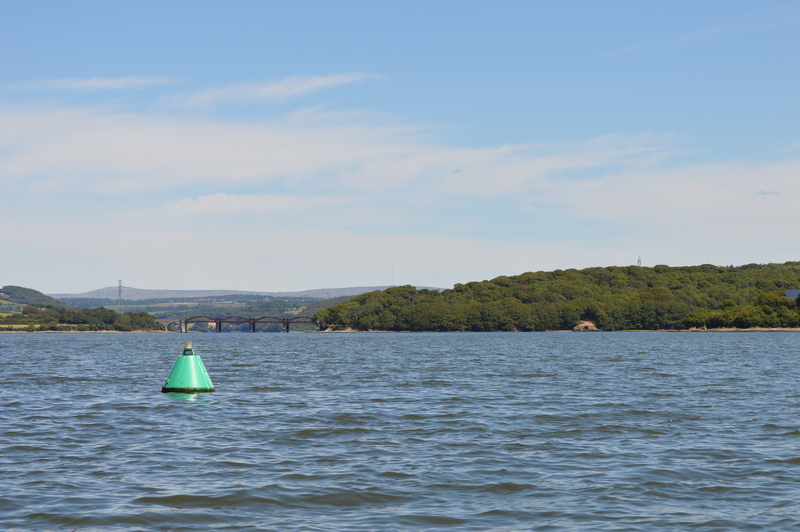 The buoy I had failed to see turns out be a lot further towards the other bank than I expect. I need to zoom in on the gps. At the level I had it – a wider view, it didn’t show the loss of track in enough detail. It would have been fine out at sea, but not here where the margin for error is a lot less. That’s one of the reasons I am doing this. I look at the chart and sigh. I need to pay more attention. The buoy at last. The entrance to the Tavy behind. Because I have neither the boat nor the money to navigate like this . 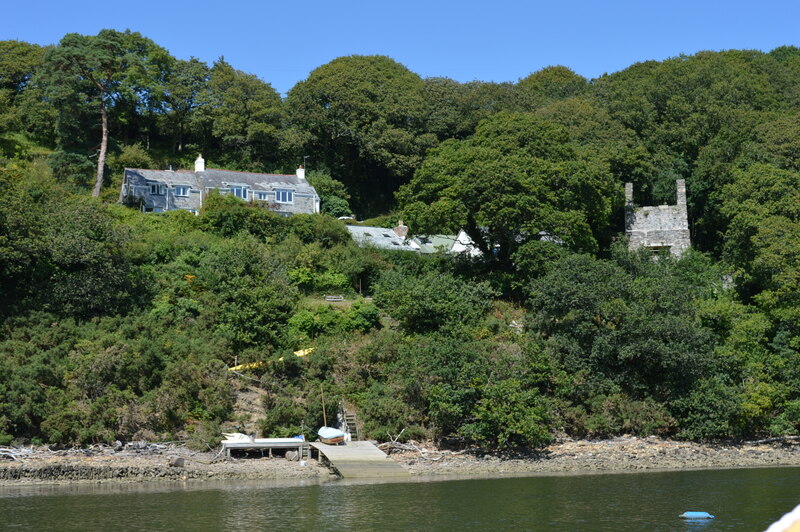 . .
A fine day, little wind, a flowing tide – ideal for taking Blue Mistress up the River Tamar to Cotehele – a long-held ambition. 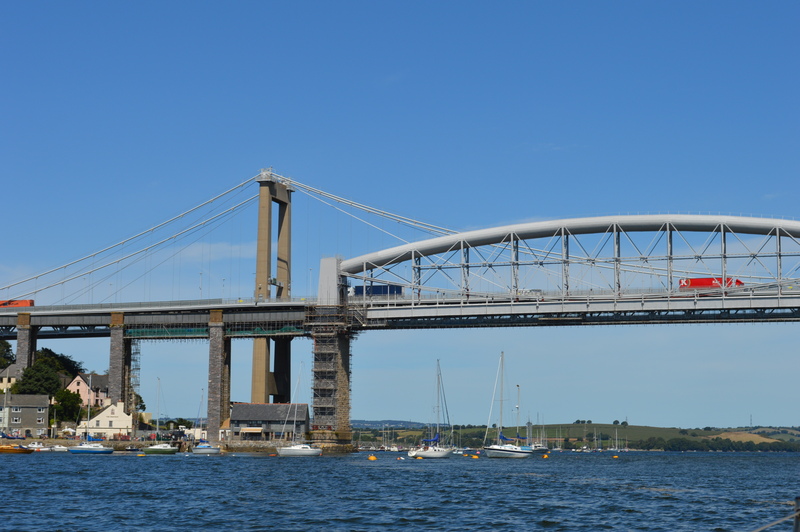 I have sailed on the Tamar once before, (you’ve guessed it – over fifty years ago), but this will be the first time I have navigated it alone – (in my current incarnation as older man).